Now in Mumbai and managed to catch up with Ajit sir. This is it. Have fun. Ok guys this is it. Will update in 30 days. Let him just enjoy working out. Cheers to all well wishers. –Great., This is what we want..
–Try to maintain this all the way if possible.. I want to personally thank you for posting this images. Still u want to reduce ur weight. oh……common thala….u always maintain this ……….thanks thala….. 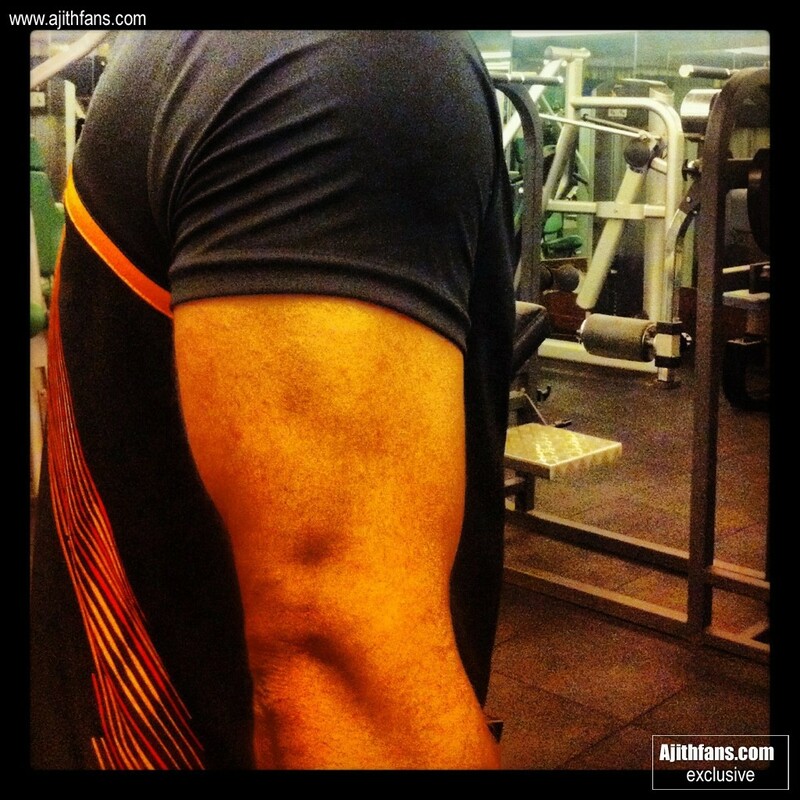 Thala!..thank you very much for hitting gym…we are always with u! 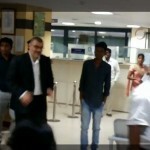 at any situation..
Mr.Ajith sir… Every pain will be paid of you later…. Thala… What is this… wow… amazing…. Your second still is really rocking…. After 30days so 6packs thalaaaaaaaa. please try six pac .ur arms and chest have beaten the arms and chest of all actors like surya,vijay etc even hindi actors.BUT SIX PAC IS REMAINING.So, MY KIND AND PLEASED REQUEST IS PLEASE TRY FOR SIX PACS. Please….UNGA ARMS ah PAARTHA ELLA ACTORS um BAYANTHU POI IRRUPPAANGA .”MATHAVANGA BAYAM NAMMALODA BALAM”.So, nee thairiyama six packkukku try pannu thala .ALL THE BEST. always waiting for Thala film………..
My feedback is Movie is good like Hollywood, from starting to ending Ajith Sir given boost for all fans but all media peoples giving bad reviews about only our THALA movie, i don’t why? when i worked Hyderabad city i saw review about Mankatha movie that time also they given rating 3.5 only. Finally Mankatha movie breaked all level movie records in Tamil industry other than Endhiran. One more news first week all therates ticket was sold Multiplex and and 2nd Level therates. Great this is what we want. Please maintain this all the time. Please get right story and good crew…………………………………. THANKS A LOT…………..I WANT ALL UR SUPPORT………. i feel always great to look you but now you much better than before. What a Great Achievement. THALA you are simply superb. thala unnaipol yaarum thiraiulakathirkaka porada maattaarkal!!! Can’t expect more than this ,from a man who has undergone 13 surgeries in Spinal cord…. Thala u r just Rocking ……Inspiration of youths ….. Proud to be your fan Always…..
Ajith sir.. Really mindblowing stills… i know tis is just a one month results… lots more to come at the end of the movie…. And make it a lengthy movie, recently the ajith movies are not playing greater than 2.10 hrs…. And Finally Yuvan…Looking forward to see another best theme muscic what you have done for MANKATHA…. its really rocking no one can compose kind of that… ITs still rocking nice to hear…. Thalai nee than Thalai! Unnai polla yarru machan? Nee than THALAI MASS!! engal deivam, engal uyir, engal muchu, engal swasam, nee illai endral valkai illai!! SUPER! ROCK ON! NEE THAN!! YAH! Perfect look of lion…… thala.. we still see u in improved state.. as always ur king…..
GOD BLESS THALA AND HIS FAMILY. TAKE CARE YOUR BACK PAIN ALSO. romba aasa padathinga enga anni shalini irukuanga ok.
Gear up to see a different Thala, folks! THALA IAM REALLY PROUD OF U.NEENGA AADUNGA NANGA ERUKOM. 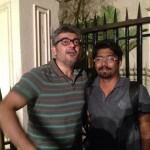 thala your always rocking .and your great thala………………………………..
Thala All the best for working out. Thala always rockz but everything is in directors hand. please make good script for thala for your own creativity which shouldnt disappoint all kind of fans especially not only thala fans.Every thala fans will accept film from thala whatever thala acts but everyone should talk about our thala film like “Thalaivar Super star Ranijikanth”.After the movie release Industry insiders should mind blow about thala film.Dnt miss this opportunity. WISH YOU HAPPY INDEPENDENCE DAY TO ALL AJITH FANS AND TO MY THALA SIR. ALL THE BEST FOR NEXT FILM, WHICH IS GOING TO BE A GREAT TREAT FOR US. 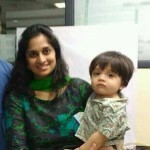 HI THALA HOW ARE YOU?. I AM UR GREAT FAN FROM DHARMAPURI. I “LIKE” U SO MUCH , U R MY INSPIRATION, I SAW U IN LIVE AT ECR ROAD IN CHENNAI AT “PARAMASIVAM” SHOOTING. U R JUST NEAR TO ME. I “WONDERED” SEEING U. THAT IS THE ONLY MOMENT WHICH I CANT FORGET IN MY LIFE, AFTER 3 OR 4 WEEKS I SAW U IN THE “THIRUPATHI” SHOOTING IN A FIGHTING SEEN. 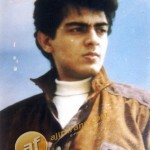 I LIKE U SO MUCH “THALA”……………………………..
your walk is CLASS! ur look is MASS!.ur the combination of class & mass.nothing is impossible if u think. ur the man to move the tamil industry to next level. no one star equals u,bcause ur the ultimate star. nee adu thala ! we are the backbones of u! We Hope Vishnu & Siruthai shiva movies will make a new record. Fans all are excepting every movie will break new record in your carrier. 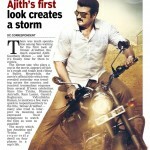 Now Ajith gets rid of his rugged, bearded look and sports a clean smart look, but time for revenge. With every new assignment Billa takes on a bigger risk, meanwhile a personal tragedy strikes. This is the first time ever seen that Billa 2 screens about 2500 theaters. No other movie has been reached this stage. This is the record break among the film industry. 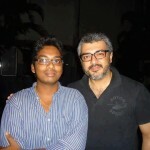 hai,very very thanks ya.this is a real of thala! Nobuddy can’t to break Thala Rule..
idhu 3 kaldhadha adhu dha…..
if u do films with new directors ensure the screenplay of the movie is in good pace…..(not as aasal, billa 2 (2nd half))..! Try to dance in songs as in mankatha its enough thala ,,, but dont leave as it , could be irritative for neutrals. mainly pace of the movie is important thala…. DONT TAKE IT AS ADVICE ………. ITS A REQUEST OF A DIE HARD FAN OF U….! becoz our market should expand further larger than others…we want u as” the superstar of india”…..PLSSSSSSSSSSSSSSSSSSSSSSSSS thala Consider this ………………..! We – The Fans Of Thala Ajith know that our men is a damn hardworker. So these gym stills r not surprising cos we know that he will realize his small small mistakes.so I am feeling very happy that our Thala is getting fit again. U deserve this change Thala. Love uuuuuuuuuuuuuuuuuu. thala rockzzzzzzzzzzzzzzzzzzzzzzzzzzzzzzzzzzzzzzzzzzzzzzz luv u thala……………………..
un thannambikkai engalukku endrum engal nammbikkai. un viyarvaiyil matravargal uyarvai kanum engal thala valga. just wanna know if any of your fan is interested to act in movies will you help him ????? if he is having a talent…..
How so you make right Decisions? How do you get Experience? 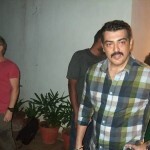 Thala plz avoid salt and pepper look.your handsame fellow. Hi thala guys how are you and all. Nothing is impossibe for you. You keep proving this all the time. Fans learn alot… from ur attitude,confidence and boldness. YOU ARE GOOD ROLE MODEL to the fans. WE FOLLOW U!!!! Önly thala is ajith sir.the nxt super star.but simbu oru sombu.he told i am chinna thala.dai simbu only one thala ajith mattum than.mind it nee jalra guy da..
Önly thala is ajith sir.the nxt super star.but simbu oru sombu.he told i am chinna thala.dai simbu only one thala ajith mattum than.mind it nee jalra guy da..r u agree dear thala fans plz reply me. Yes venu your telling correct and true da.thala is ajith mattumthan. thala we love you…. wow mass thala you are…. your rocking always.. cheers…. u r inspiration of all youngsters thala…cinema indus la one man army neega…unga life eh engaluku lesson..THALA my humble req,tamil pronounce ah fast ah sollnga,sema fast ah pesunga..film la comedy athigam irukuramatom parthukoga,,,,,,,,,, kalakuga anna…………………………………………………………..
thala is the next superstar !! this s unchangable !! 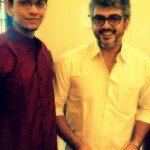 ajith kumar [ thala ] looking amazing stills. your really hero we waiting your next move . and you dont try to DON in next movi only.you try to actting somthing spicial .you can all. i wish u thala . 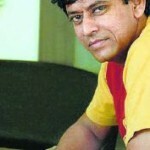 @endrum unnai pinthodarum un ithayangal,,,,,,,,, thalaiva…….. nee innum pala saathanaigal padaikka engal valthukkal……. —–THALA GROUPS from DANGEROUS GUYS!!!!!!!!!!!!!!!!!!!!!!!!! Nee marainthazhum endrum un ninaivudan…. thalayin theevira rasigargal anaivarukkum enathu manamaarntha nandri!!!!!!! keep up ur body. but care of ur health………. ASAL aravindh; A THALA ajith is the mass actor in tamilnadu no no.. world ajith in pluse point= style,best acting,our body stucture,our thannambikai, i like like…. the thala……….thala pola varuma…. Thala thala dhan. Don ku ellam don namma thala dhan. thala gethu panringa….. keep on doing this…..
Power Of Silent thala…………………….. Da………………..
thala thalathan we want a new mannerism like the past asal thala ! super thala…… chance ae illa.. I love thala. Thala super ya.sixpack singam. Da vinnai veltha oru vill ellai thalaya veltha oru dill ellai. this is what v want!!!!!!!!!!!!!!!!!!!!!! 2013 king nee mattum than thala. iam waiting valai…….